The most basic of North America facts is that it is a continent, the third largest in the world after Asia and Africa. North America is located in the Northern Hemisphere, and most of it is also in the Western Hemisphere. The continent is bordered by several oceans: the Arctic ocean to the north, the Pacific to the south and west and the Atlantic to the east. To the southeast, North America is bordered by both South America and the Caribbean Sea. North America covers an area of approximately 9.5 million square miles. This measures in as 16.5% of the Earth’s total land area. When we think of the North American continent, we tend to think of its largest and most powerful country, the USA. One of the most surprising North America facts therefore is that there are actually 23 countries on the continent, along with dozens more territories and possessions. These include Canada, Mexico, Greenland, Bermuda and all of the Central American and Caribbean countries. By far the most populous of these countries is the USA, which in 2014 had an estimated population of 319.4 million. The second most populous country is Canada, with 35.5 million residents. Guatemala comes in third, with 15.8 million. 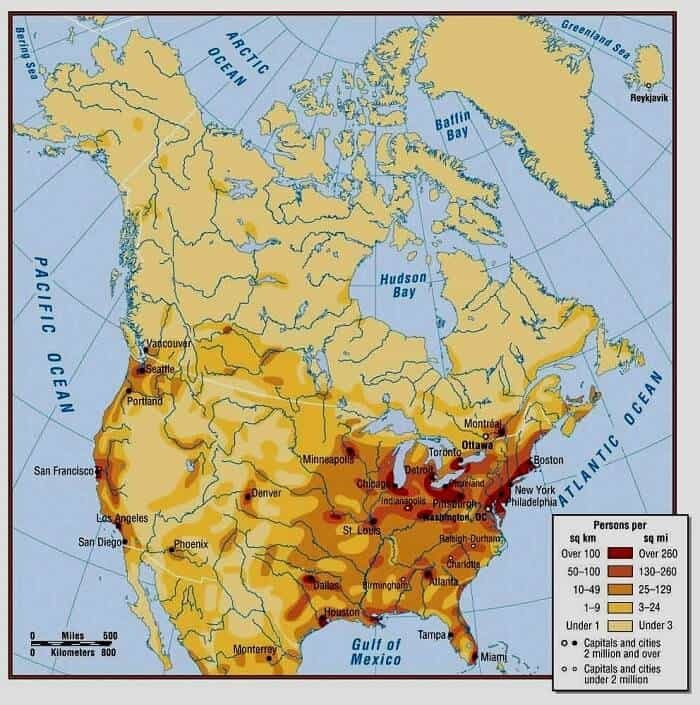 One of the most extraordinary North America facts concerns just how old the land is. At the geological heart of all continents are cratons, the oldest and most stable parts, usually found in the center of tectonic plates. The craton at the core of North America is called Laurentia, and was formed during the Proterozoic era. Throughout several geological eras, North America was joined to other continents, including the ancient Pangaea and Eurasia. Pangaea was a supercontinent containing most of the earth’s landmass, and was located in the Southern Hemisphere. Around 200 million years ago, when Pangaea drifted apart, North America began to separate into its own continent. North and South America were connected when the Ithmus of Panama formed, around 3 million years ago. The Great Lakes, on the other hand, are a relatively recent feature − they are the result of receding glacial activity, which occurred around 10,000 years ago. If you asked people for North America facts, many might remember that Christopher Columbus discovered the Americas in 1492. Some might even point out the fact that Norse settlers arrived some time earlier, in the 11th century. But, in fact, scientists believe that the first indigenous peoples came to the continent around 15,000 years ago. These were Paleo-Indians, who migrated from Eurasia. How they did this we can only speculate, but the majority of scientists believe it was by crossing a land bridge which once existed in the Bering Strait between modern Alaska and Siberia. In North America, they began to develop more organized societies, and practiced more agriculture, for example in the pre-Columbian culture along the Mississippi river. They also continued moving down into modern day Central and South America. There are many intriguing North America facts about how native societies developed before European colonization. The continent was divided into informal culture areas, in which the climate and geography of each zone determined the way people lived. In the Great Plains, for example, tribes of bison hunters developed, whereas in Central America, agrarian societies were formed. But as well as small tribal cultures, vast and impressive empires were formed in this era. These include the Maya Civilization, which was established in 2000 BCE. The Mayans built temples and pyramids in the region of south Mexico and Guatemala, and created a complex calendar and writing system. Later, there was also the Aztec Empire, the capital of which was located in the Valley of Mexico. This empire was formed by the union of three Nahua city states in 1428. Returning to our most famous North America facts, it is true that Columbus discovered the Americas for Spain in 1492. This began an era of colonization in which European nation states took over great swaths of the Americas. 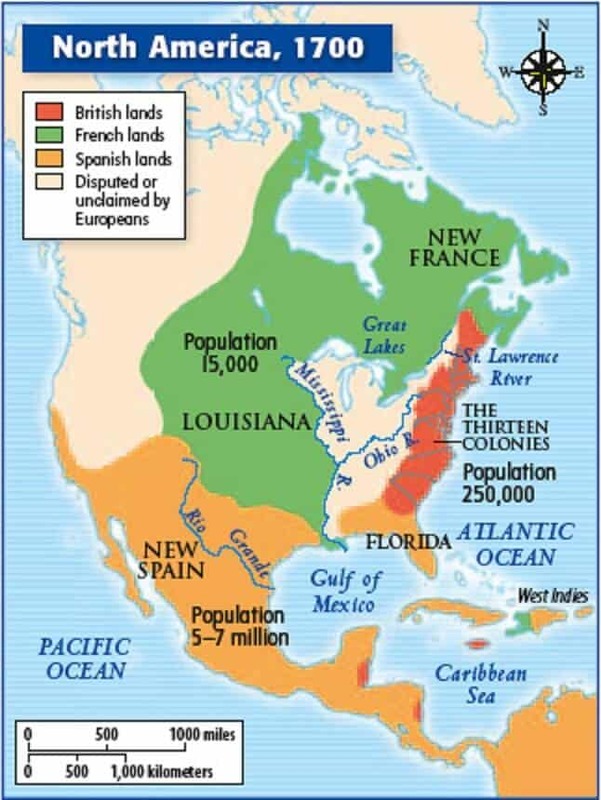 Spain, France and Britain established territories in North America and, by the late 18th and early 19th centuries, these territories were hosting independence movements, most famously the American War of Independence. These movements led to the formation of several countries. The United States of America were formed from 13 British colonies, while Canada was the result of a unification between British and French territory. This colonization of the New World had devastating effects upon the native population. One of the most tragic North America facts is that this era saw the introduction of European diseases to the Americas, killing vast swaths of the native populations. In addition, violent clashes and wars led to the destruction of many native societies. Along with direct human cost, this also led to the extinction of several linguistic groups and the loss of cultural knowledge and folklore. Between 1497 and 1502, a group of Europeans, including the Italian explorer Amerigo Vespucci and two German cartographers, Matthias Ringmann and Martin Waldseemüller, were exploring South America. Vespucci was the first European who thought that the Americas were not the East Indies, as had previously been assumed, but an entirely different landmass. In honor of this, his German companions decided to name the continent after him − on a 1507 map, Waldseemüller wrote “America” on the South American continent. He initially took the Latinate version of the name, Americus Vespucius, but then chose to use the feminine form America. One of the most astonishing North America facts tells us how incredibly diverse the continent’s geography is. A biome is defined as a community of plant and animal life which is spread throughout an extensive area of fairly uniform climate. In North America, you can find every single one of the earth’s major biomes! These include tropical rainforest, grassland, desert, tundra and coral reef. Unsurprisingly, given this diversity, there are many famous and spectacular geographical features on the North American continent. These include the Appalachian Mountains and Rocky Mountains, the Mississippi River, the Great Lakes, Niagara Falls and many more. When it comes to North America facts, the diverse and exciting wildlife must be mentioned. Since there are so many biomes present on this vast continent, there are an enormous variety of habitats that different mammals can feel at home in, from swampy wetlands to dry mountain ranges, and scorching deserts to fertile farmlands. This is why, out of 5416 known species of mammal on the planet, approximately 965 can be found in North America. Famous examples of such mammals include small creatures such as rabbits, hares, squirrels, possums, and raccoons, and larger ones such as deer, coyote and beaver. Then of course there are the continent’s most iconic mammals, the large predators such as the bear, wolf and cougar. The oceans around North America are also home to an incredibly diverse range of inhabitants, including whales, dolphins and sharks. Given the continent’s complex history, there are many North America facts relating to languages, both indigenous ones and those that arrived with colonization. Before the Age of Discovery, there were at least 1000 different languages among the native population! During the decline of the native population, however, many of these went extinct, and sadly relatively few now survive. To take the United States as an example, the country now has a population of approximately 2.81 million Indian Americans. 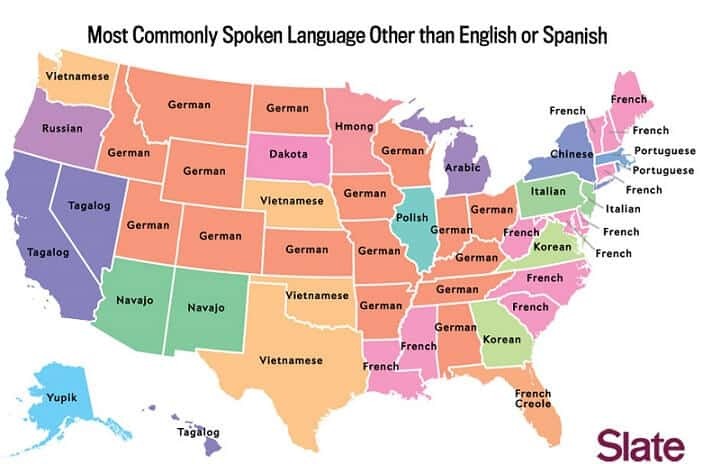 Within this population, Navajo has by far the most speakers, with around 170,000 Americans speaking Navajo at home. In Canada, the most widely spoken indigenous language is the group Cree, with roughly 117,000 speakers. In terms of European languages spoken today, linguistic patterns follow the history of colonization. English is the main language spoken in the USA, for example, while Spanish is the second, and the first language in Mexico. In Canada, French is the mother tongue of around 30% of the population. Danish was one of the official languages of Greenland until 2009, and is still spoken by most of the population. In the Caribbean region, many Creole languages are spoken. 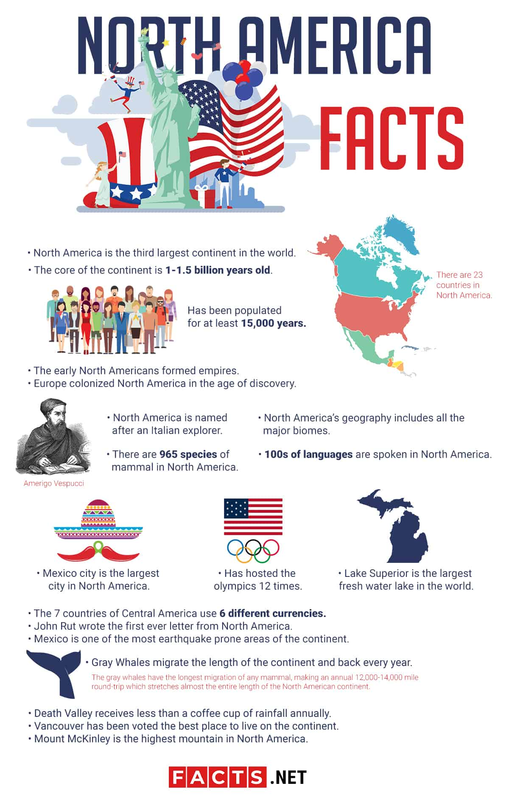 When it comes to North America facts relating to cities, there are many famous locations which could be discussed, from Canada’s Toronto and Montreal to The USA’s New York, Los Angeles or Chicago, to name but a few. However, of all the urban centers on the North American continent, Mexico City is the largest by population. It is estimated that there are 8.85 million people in the city proper, and over 20 million in the greater metropolitan area. Mexico City is the capital of Mexico, and an important global city. It is one of the most important financial sectors in North America − in 2011, for example, the city had a gross domestic product (GDP) of $411 billion. The economy of Mexico City is so enormous that the city alone generates the same wealth as the whole of Peru! There are many fascinating Olympic North America facts. The continent has hosted the modern games 12 times in total. The first time that a North American country hosted the games was in 1904, in St. Louis Missouri, USA. Since then, the US has been home to seven other games, more than any other country in the world. These include winter games in Lake Placid, Squaw Valley and Salt Lake City, and summer games in Los Angeles and Atlanta. Canada has also hosted the Olympics several times, in Montreal, Calgary and Vancouver, while the 1968 summer games were held in Mexico City. There are countless North America facts relating to astonishing geographical features, but a special mention must go to Lake Superior, on the border of the USA and Canada. This is the largest of North America’s Great Lakes, and with a surface area of 31,700 square miles, it is considered the largest fresh water lake in the world by surface area. Lake Superior is bordered by Canada’s Ontario, along with the USA’s Michigan, Wisconsin and Minnesota. Although Central America is technically part of the North American continent, we tend not to mention the region when it comes to North America facts, because many of us think of it as very separate. This is also true when it comes to currency. While Panama and El Salvador have adopted the US Dollar as their officially currency, a variety of currencies are still used in the rest of Central America, including the Belize dollar, Nicaraguan córdoba, the Guatemalan quetzal and the Honduran lempira. One of the best known North America facts is that the west coast is the site of a lot of seismic activity, making it a high-risk earthquake zone. Mexico in particular has suffered from some of the most devastating effects of this, since, as a poorer nation than its neighbor the United States, buildings have been less well-designed, less money has been invested in earthquake preparation schemes and so on. This has led to some tragic North America facts − in 1985 an 8.0 magnitude earthquake ripped through Mexico City, killing at least 10,000 people. In 2014, a 7.2 magnitude earthquake hit the city of Guerrero, causing several casualties. The gray whale is a species that know their North America facts − or more particularly, they know their way along its western coast! These magnificent creatures like to spend the winter giving birth to their calves in the warm lagoons of Mexico’s coast. But in the summer, when they need to feed, they prefer the cold waters of the Arctic sea. Getting there is no mean feat! The gray whales have the longest migration of any mammal, making an annual 12,000-14,000 mile round-trip which stretches almost the entire length of the North American continent. There is a great difference in North America facts between the continent’s wettest and driest climates. The region that receives the least rainfall per year is Death Valley, located in the Mojave Desert, California. It is so dry that the average annual rainfall, around 2.36 inches, would barely fill a coffee cup. And Death Valley is not just the driest part of the North American continent − it is also the hottest and the lowest, making for one extraordinary environment. Thinking of relocating on the North American continent? In 2014 the Mercer Quality of Living Survey aggregated many North America facts and concluded that Vancouver, Canada, was the best place to live on the continent. Factors that helped Vancouver win the title included its high quality medical care, cultural diversity, and over 200 parks. Canada in general did very well in the survey, dominating the top 5 winning cities list − after Vancouver, came Ottawa, Toronto and Montreal! If asked for North America facts about mountains, many of us would think of famous mountain ranges in the United States, such as the Rockies or the Appalachians. But spare a thought for Mount McKinley in Alaska − after all, it is the highest mountain in North America! Mount McKinley has its summit at 20, 237 feet above sea level. The mountain peak is located at the center of Alaska’s Denali National Park and Preserve. It is regularly climbed but, while 2003 figures suggested that 58% of climbers reached the top, the mountain has also claimed the lives of over 100 mountaineers. There are many fascinating North America facts about this vast and diverse continent. North America is the third largest continent in the world, and contains 23 different countries. The three wealthiest countries within North America are the USA, Canada and Mexico. However, all of the Central American and Caribbean countries also belong to North America. The continent has an incredibly diverse range of climates, geographies, wildlife, cultures and more. 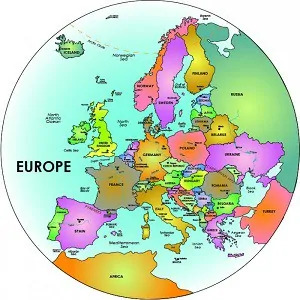 It has been populated by humans for 15,000 years at least; at first primarily by indigenous peoples but afterwards by the period of European colonization which dramatically affected the societal structure on the continent, and led to the formation of separate countries.